I hear you. Back in my kid-dom though, wheels popping out of the bottom of a pair of shoes was magical. So what brought back that three-decade-old memory? It’s the subject of today’s review, of course. You see, the Alphard Duo Golf Cart is not just a golf bag, nor is it just a golf cart. 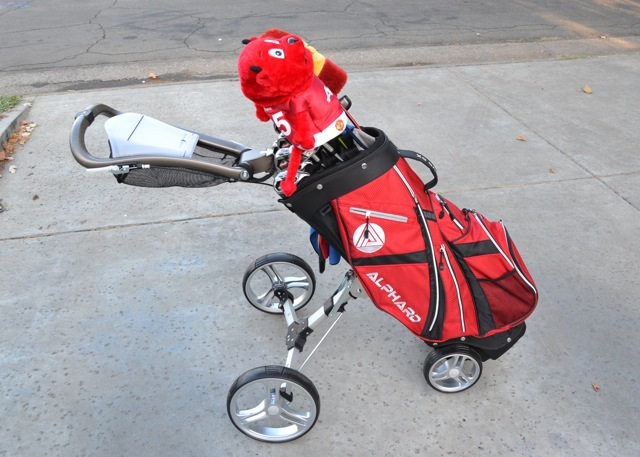 Instead it is the combination of golf bag and golf cart. 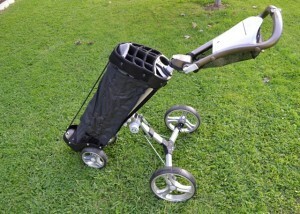 It’s a golf bag whose wheels pop out of the bottom! Just like those platform shoe roller-skates! OK so maybe not just like those… Regardless, what I bring you today is the fruitful union between bag and cart. 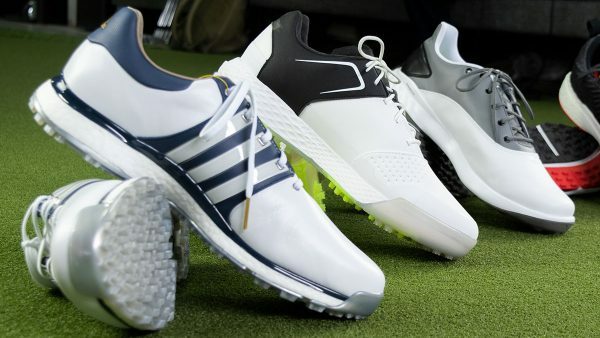 Golfers are familiar with hybrid products that hopefully combine the best aspects of two or more products. 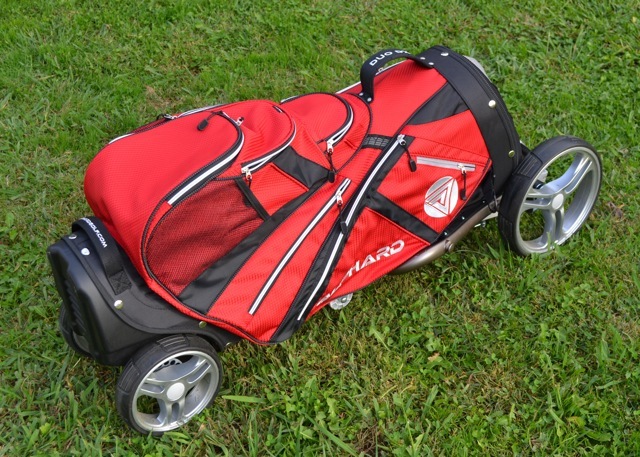 Does the Alphard Duo Golf Cart represent the best of the bag and cart worlds, or does it end up less than the sum of its parts? It’s no secret that I am a fan of visual POP in a golf bag. The Alphard Duo Golf Cart comes in a variety of colors. I had the black and red models in for testing but there are also some other colors available such as green, blue, white, and orange (my favorite). The colors are all bold enough to make a visual impact, but not so garish as to cause a visual scene as you traverse the links. Accent colors work nicely with the main color as well. The cart components are finished in simple silver and black. The wheels and cart tubes, as well as the console, have a very sleek and modern look. Overall, the bag and cart components look like they should go together. No Frankenstein’s monster here. Overall, I think that the Alphard Duo Golf Cart has some solid, innovative design elements. First, there is the ability to swap skins. Taking off and reattaching the skin is quite easy because all of the components line up correctly, without any coercing. The bag material and construction (i.e. 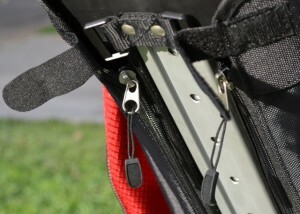 zippers) are sturdy and should hold up to most play conditions. I mentioned swapping skins when one wears out, I really don’t see that “wear out” happening any time soon with the bag. The pockets are numerous and the large, with the insulated pocket scoring a respectable 5 on the John Barry Beer Toting Aggregate scale. The cart itself did give me a few design concerns. First, although the 14-way top is well spaced, the fabric around the openings did not always match up with the Velcro underneath. 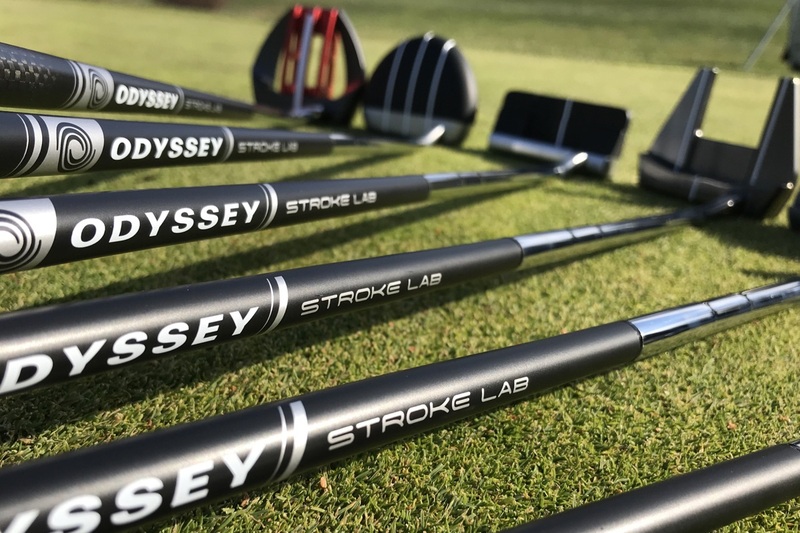 This concerned me in the putter well, as I was in the process of testing the new Odyssey 2-Ball with the black shaft. 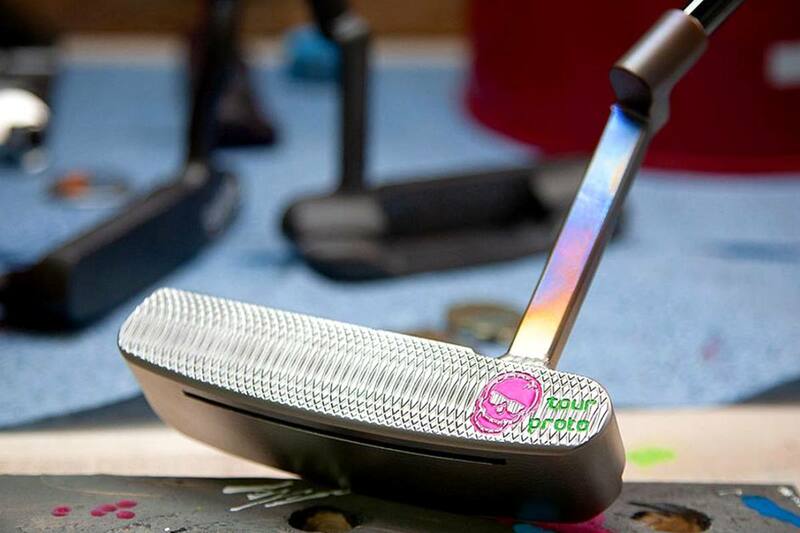 A chrome iron shaft is likely going to come through unscratched by the Velcro teeth, but I feared a bit for the black finish on that putter shaft and also for my metals’ fancy shafts . Second, there was no alignment adjustment on the front wheels to correct for veers in direction. I didn’t know if this would be an issue, but I was used to seeing this feature. Third, the plastic at the base of the cart seemed a bit thin. Again, this concern may be silly, but I was surprised that it was not thicker when I removed the skin. My final design concern came with the placement of the ball and tee holders. 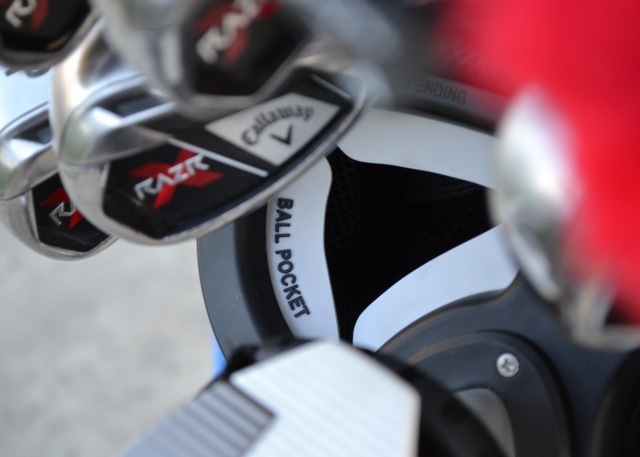 With all the clubs loaded in, the ball holder takes a bit of work to get into. I would rather see these features somehow incorporated into the console, though that would admittedly decrease the space in the console. Those concerns aside, the design of the Alphard Duo Golf Cart allows the cart to fold to a volume not much larger than the bag itself. OK, it’s a bit larger than the bag itself, but it takes up way less volume than a normal cart bag sitting on a folded pushcart. The opening and closing is relatively simple. 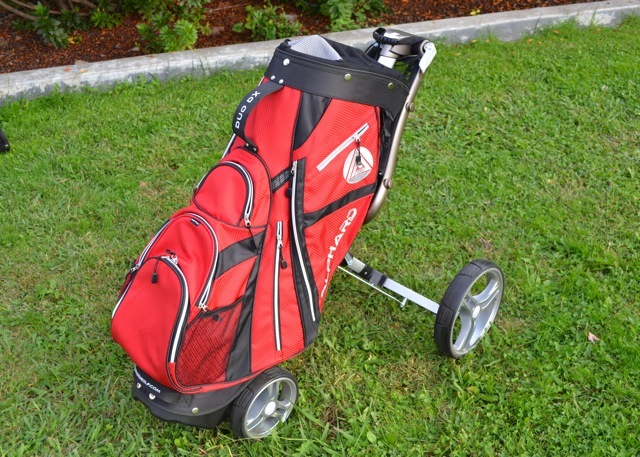 Overall, the cart oozes clever, but is also obviously designed to function on the course. 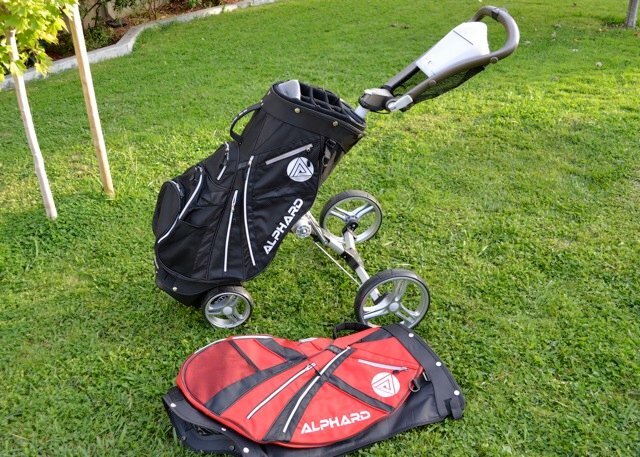 So the big question with the Alphard is can it take the place of my current bag and pushcart. The cart folds small enough to easily fit into the trunk of my Accord, even with the clubs in place. Speaking of folding and unfolding, to extend the wheels, you need only turn one dial, and then lift the bag. When you lift, the wheels will stay on the ground, eventually locking in place. Next you flip open a lever to unlock the handle and console, flipping it closed when the handle is adjusted to your correct angle. If the handle is too low, the Alphard Duo Golf Cart also has an adjustable neck. Lift one lever, and the neck can extend up to about a foot. I imagine that the majority of golfers will find a very comfortable height through these adjustments. You can find a bunch of videos about the cart’s different characteristics on the Alphard site HERE. Folding the cart requires just a reversing of the unfolding sequence, although for some reason I struggled a bit more with this part. To get the wheels to drop, you need to turn the knob clockwise until it presses in a little button beneath it. It is possible to turn the knob past this point, thus missing the button. Or just mistakenly turn it counter-clockwise when you forget which way is correct. With a bit of practice, it was not an issue, but it was a bit embarrassing that I couldn’t easily make it go down that first time out. All’s cool now, but it would be nice to see some markings on the knob to be sure that you are in the right position. The only other overall disadvantage of the all-in-one model is that it is all-in-one. 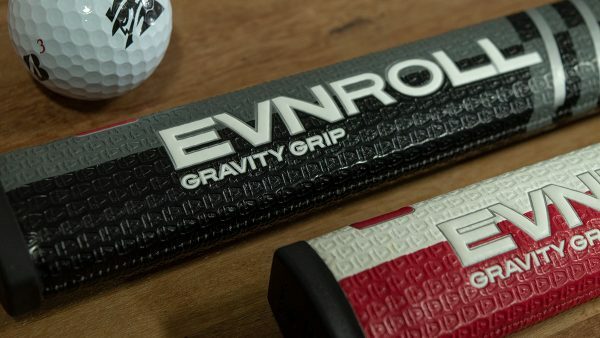 If you want to make a quick trip to the range, you have to take the whole thing. Remember, the club holding parts are actually attached to the cart part of the rig. The bag does have more than enough pockets to store all of my random golf junk, plus lunch, and etc. 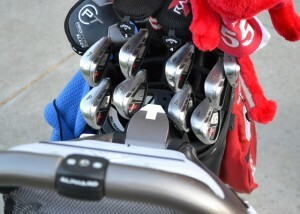 The 14-way top is large enough that the clubs end up spaced nicely, promoting easy access and replacement during play. Outside of my issues with the material at the top of the openings, the bag was as good as any bag I have used. The fact that you can swap the skins makes it really stand out from the pack. 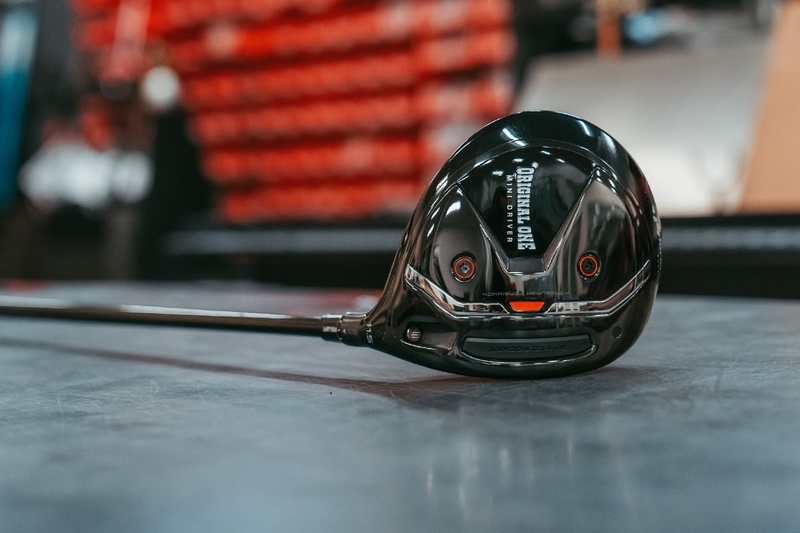 The folk at Alphard also plan on making skins with different characteristics; such as being waterproof, having an external putter well, and possible color-coordinated skin and headcover combos. There will also be skins that will appeal to the woman golfer. Overall, having a skin encompass the entire bag does open the door to new, unique bag alterations down the road. Pricing on the skins is still in the TBD stage. The all-in-one nature works quite well. 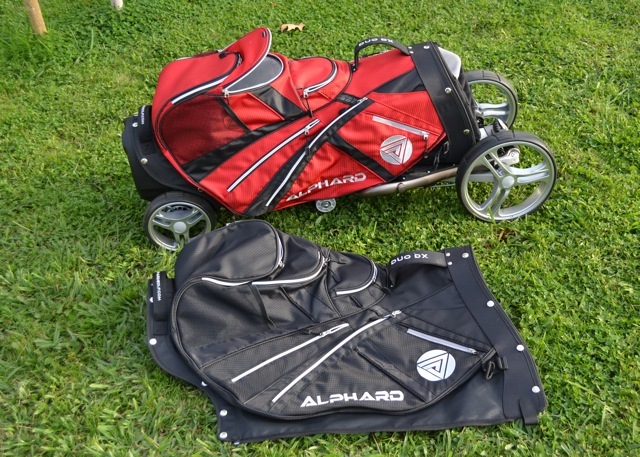 The Alphard Duo Golf Cart provides the fastest trunk-to-course transition that I have experienced with a pushcart. 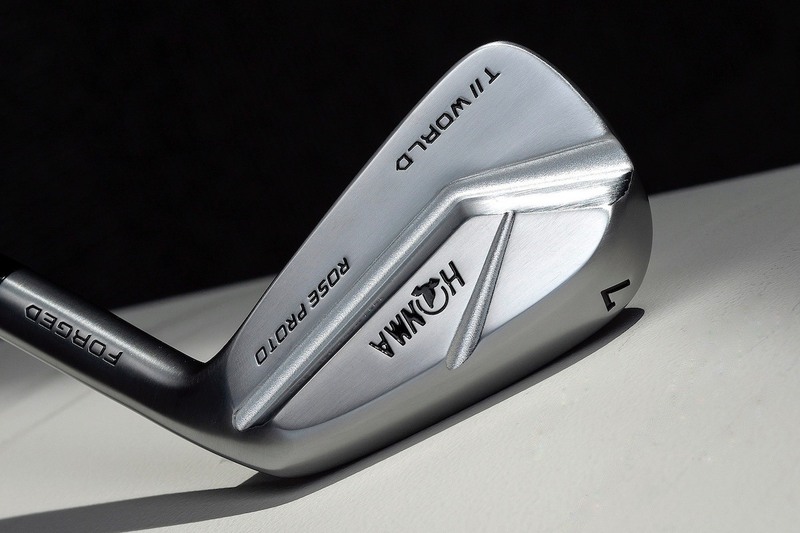 The clubs slide in and out easily, as one would expect from a 14-way top. The lack of front wheel alignment was not an issue as the tracking of the cart was excellent. The connection of the handle to the body has a bit of lateral flex to it. Initially I thought that this was a quality issue, but the bit of wiggle actually allows you to steer the cart without always lifting the front wheels. The console and cargo net are large and easy to access. The combination of the two handle-height adjustments make for a very comfortable pushing position. The cart rolls well and remains stable under normal slope conditions. The wheels can be removed for power cart usage. The break is powerful and easy to engage. The break is powerful and perhaps too easy to engage. There were a couple of occasions where I accidentally flipped the break on when I started to push the cart, subsequently being rewarded with the console impaling me in the belly. Just a bit too much of a hair trigger. The bag and cart are always connected. As I mentioned, if you plan on sneaking out to the range you need to take the whole unit. The bag and cart weigh as much as a bag and cart. 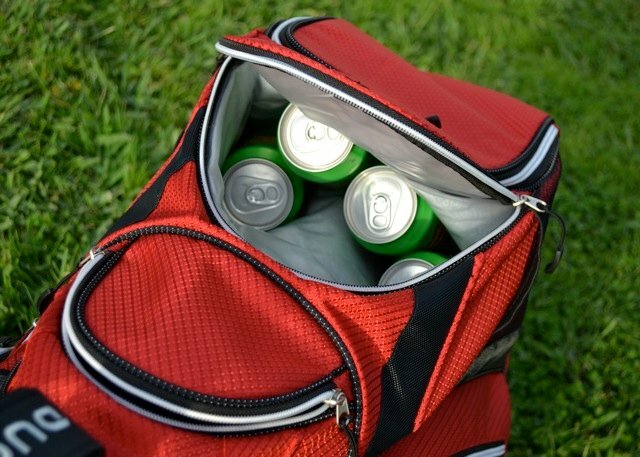 Especially when properly loaded with clubs and beer. The handles are well positioned to promote balanced carrying though, so lifting it in and out of the trunk was really no big deal for a strapping lad such as myself. However, if lifting things is an issue for you, see if you can dry run the lift in the shop before purchase. I wish that the ball holder and tee holder were located up on the console rather than down at the bag. I think that they are there because the design of the unit would otherwise leave that area unused. 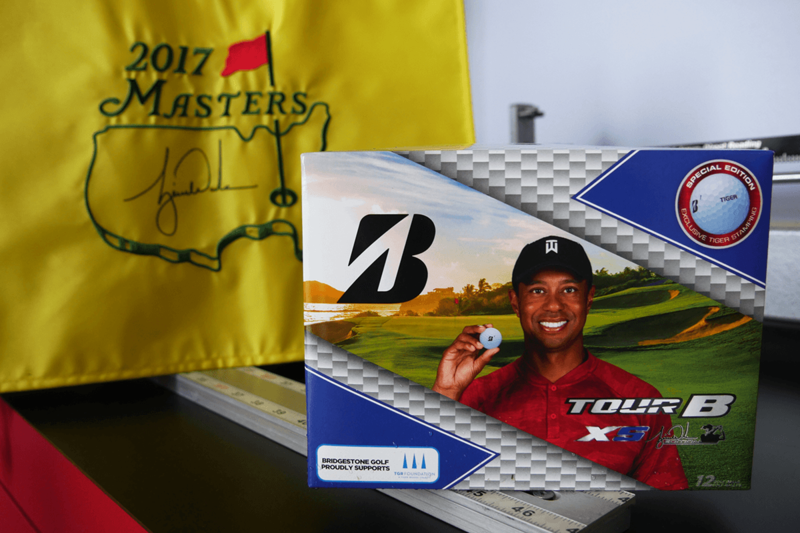 I would rather see a 15th slot and the balls and tees up top somewhere. I think that the Alphard Duo Golf Cart is definitely a unique and worthy addition to the golf cart/bag market. It’s great to see something new, and the Alphard Duo Golf Cart is so new that you can’t even buy one yet. 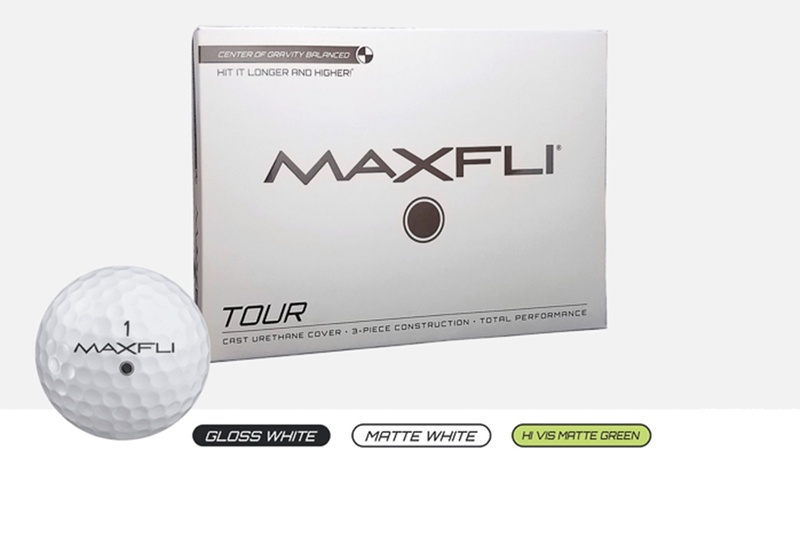 You can check their website though as they expect to be taking money-back-guaranteed pre-orders soon, with the carts going out around the time of the PGA show in late January. Pricing should be in the $299-$339 range. 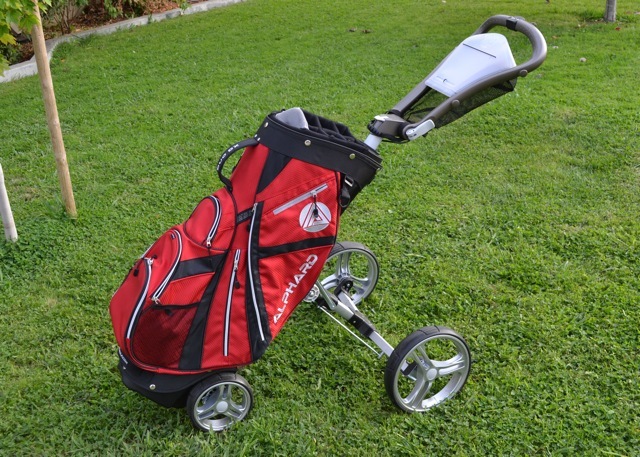 This may seem a bit pricy at first, but when you add up the separate prices of a new bag and a new pushcart, $300 is quite competitive. I’ve got one final thing to add. I believe that the people at Alphard Golf are really committed to making a great product. I have been in communication with them during the testing process, and they have been very open to my criticisms and suggestions. They are going to look into how the Velcro fits in the wells and maybe add some directional markings to the folding knob. To me, this openness to suggestion characterizes a company that is truly committed to making the best product that they can. I look forward to seeing these carts when they make their debut at the PGA show in Orlando. You should too. I have had a Alphard Duo Cart Evolution for over two years now. First I must say that the combination of trolley and bag in one is great. Excellent idea and beautifully solved in the Alphard way. That said it hurts even worse to say that the quality of the bag is extremely poor. The construction is part aluminium and part plastic. And here starts the trouble. The plastic is of such poor quality so it keeps breaking. I have had three different folding systems during these two years. One after another is breaking down. So I must regretfully give a STRONG WARNING for this bag. Fantastic constrution but VERY POOR QUALITY. I have now received an answer from Alphard and the are aware of the quality problems and are working on them. 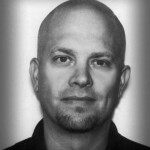 Still must say that the idea is great and with better quality, this solution is a winner! The plastic part that hinges the handle to the adjustable post of golf cart on my dou cart broke. I can no longer adjust the height nor able to push down on it. I put a temporary fix so at least I can still use it but with great care until I can get the part replaced. How do I get the parts needed? Just found your comment, I know your post is from last year but wonder if you contacted us for warranty? The Duo Cart is modularised, so it can be fixed easily with the right replacement part. 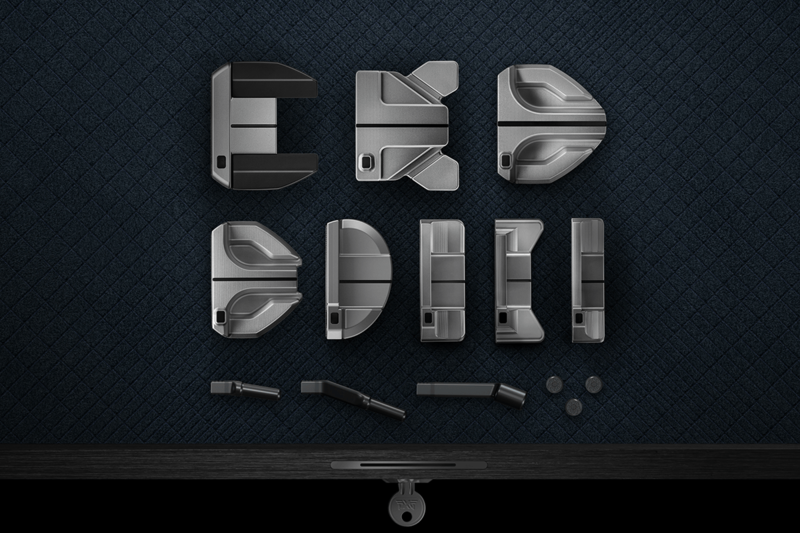 Indeed, we made a few improvements based on GolfSpy suggestions. 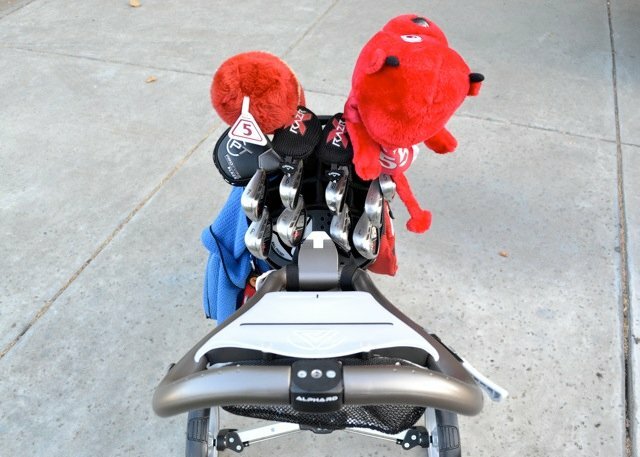 Thanks again to GolfSpy for taking the time to test and review the Duo Cart!! 1. 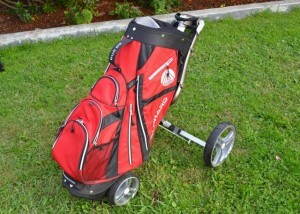 The Duo Cart is now available for purchase on our website http://www.alphardgolf.com. 2. FB campaign on now! Win 1 of 3 Duo Carts when you like or share our facebook page http://www.facebook.com/alphardgolf. Winners announcement on May 1st, 2013. Good Luck! – yup, no wobbling or twisting bag when you use the Duo Cart. – There are 2 pcs of velcro that secure the zippers of the “skin”, they are made pretty tough and will last a long time esp since you will only undo them when you change the skin. 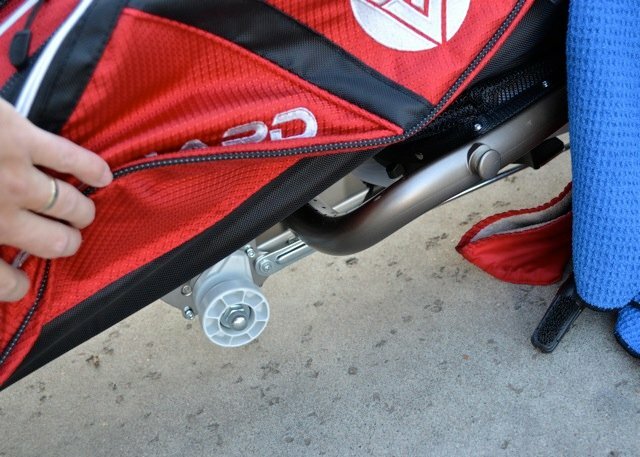 – The Duo Cart weights 20lbs…bag+cart. This really sounds like a great idea but my concerns are how long will the Velcro last? Is it possible to remove the handle and wheels? Also it sound like it may be quite heavy when trying to store. 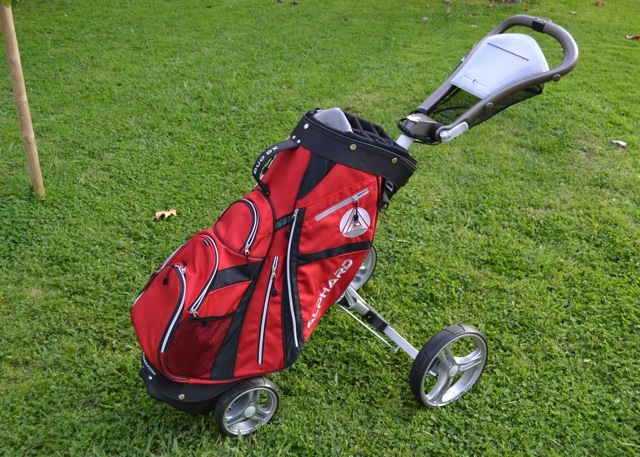 I walk some but not enough to go this direction so I’ll stay with my click gear (1.0 but looking at the SWEET 3.0) and PING Pioneer Cart Bag. If I lived on a course where I could walk out and play a few in the afternoon this would be a must check out for me! Sticking with the Sun Mountain V2. Chico’s best in the cooler? Good eye! That is indeed NorCal’s favorite son, Sierra Nevada Pale Ale. What bag are you using with the V2, btw? Also caught the green tops in the pocket. Very nice on-course choice! 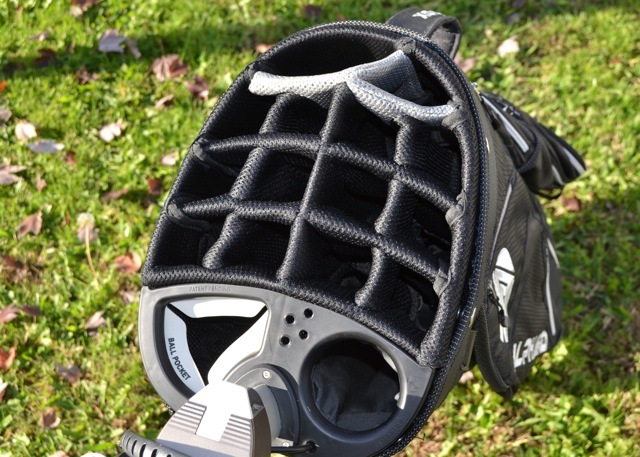 Looks like a cool product (the cart bag, I mean), and a very informative review as always.